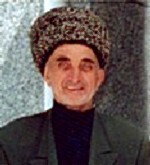 Leimoev Magomed Beksultanov ich, 1934. kidnapped in October, 29, 2007. Magomed Beksultanovich,born in 1934, Leimoev is searched by his relatives. In October, 29,on Monday,he went out of his homestead in Sovetskaya street and has not come back. Magomed Leimoev is an activist of public organization «Daimokhk».He has no opponents and his relatives don’t know a reason of his missing. + 7 988 811 3114 . Email: insurgent06@mail.ru.